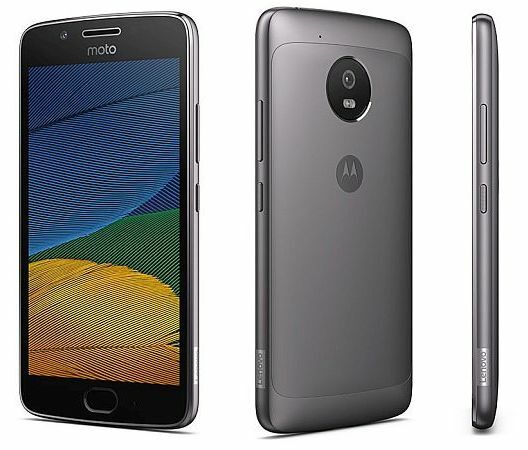 MWC 2017 Barcelona, Moto – Lenovo has launched its latest Smartphones Moto G5 and G5 Plus. Both of these mid-range Metal built designed Smartphones comes with an affordable price tags. Moto G5 has a 5 inches display with 1080p Full High Definition screen resolution. It has 1.4Ghz Octacore 64Bit Snapdragon 430 Processor. It has 2GB & 3GB of RAM variants with 16GB and 32GB of internal storage capacity with expansion capacity upto 128GB via MicroSD Card slot. It is a 4G Volte featured handset. This Smartphone handset has a 13Megapixel primary camera and 5Megapixel selfie shooter front camera. It runs over Google’s latest Android Operating System Nougat v7.0. This Smartphone has a 2800mAh removable battery with rapid charge feautre. Moto G5 Plus has a 5.2 Inches display. It is powered by a 2Ghz Octacore Qualcomm Snapdragon 625 64Bit Processor. It also has two variants with 3GB & 4GB of RAM with 32GB and 64GB storage capacity with expandability upto 128GB via MicroSD Card slot. It has 12Megapixel dual auto focus primary and a 5Megapixel front camera. This Smartphone handset also runs over latest Android Operating System Nougat v7.0. Moto G5 Plus has 3000mAh non-removable inbuilt battery. Both these will be available soon on sale.